Most people don’t even know the Microsoft Customer Immersion Experience (MCIE) exists, including over 635,000 Microsoft Partners. If you’re a business decision maker, it’s the best way to learn the technology while leveraging input from your peers and Microsoft experts. 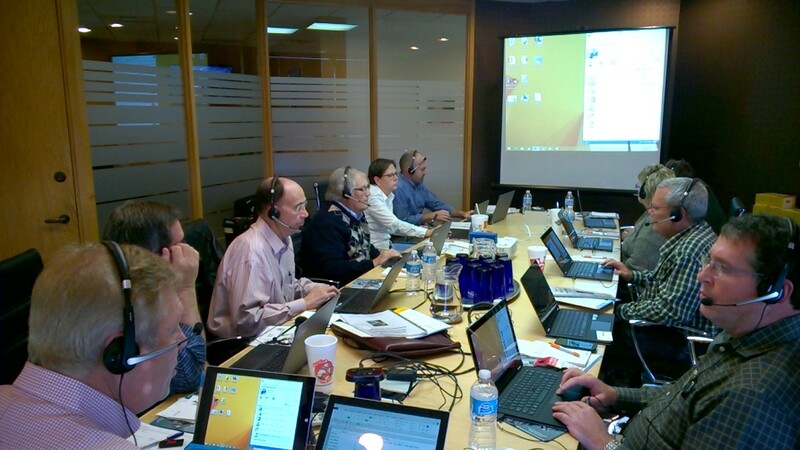 On November 19, 2014, Matrixforce hosted 10 CPAs along with K2 Enterprises to provide customized and hands-on Continuing Professional Education (CPE) for Office 365. Only select Microsoft Partners are allowed to participate in the program. Microsoft ships two large containers of notebooks, tablets, headsets, and smartphones. It takes about 48 hours to provision a demo tenant with data and configure the devices. In about 4 hours during the event, each participant learned specific examples from personal experience of how the technology would help their organization, along with real-world deployment insight and associated costs. NOTE: If you are involved with any business association having at least 10 members with 25 or more employees, Matrixforce can provide this powerful event for your organization. Contact us and ask about scheduling the Microsoft Customer Immersion Experience event. The Customer Immersion Experience aims to provide a conducive environment to deliver a best-in-class and hands-on demo experience for business and technology decision makers. Sessions are led by a trained facilitator and are designed to be interactive, experiential, and fun. The immersion is not a generic demo about all the features Microsoft products offer. It’s a true-to-life experience that takes you through common work-related scenarios such as: understanding user presence and connecting in real-time using screen sharing or video, encrypting e-mail to protect compliance or sensitive information, securely sharing documents with co-workers or customers, and making sense of a bunch of documents with a few clicks. Participants get a first-hand look at a fast and fluid experience with exciting new features across a variety of devices, including tablets, PCs, and smartphones. Immersion is the best way to learn about business productivity tools and technologies without sales pressure. All products are setup and configured with fictional users and data, allowing real life scenarios to be instantly simulated. We would like to say a special thanks to Curt Witt for the opportunity to facilitate the Microsoft Customer Immersion Experience, Wendy Harrison for coordinating, as well as Val Steed for his instruction.